The Judges – You're Hired! Representatives of some of the best companies in Plymouth and the surrounding area, these brilliant, creative individuals will judge the heats and the finals. Want to be Plymouth's Most Employable 17 Year Old? You have to impress these guys first. Rachel is a local lass who went to Notre Dame School in Plymouth and then on to Exeter University to study a combined Masters and BSc degree in Mathematics. On graduating she joined KPMG in Plymouth to do three more years of accountancy exams! Rachel worked at KPMG as an auditor for just over 16 years working her way up to senior manager with a focus on clients in the automotive sector. Her work at KPMG has taken her to a number of glamorous locations including Dubai, Park Lane in London, Canterbury, and Swindon! In addition to managing audit teams she has also helped her clients by providing business advice in areas such as transactions, listings, and the transition to new accounting standards. Rachel has just returned to KPMG after taking a two year career break to work as Finance Director for Systemtech South West Limited, a South West based company in the Fire Protection and Security industry. She now splits her time working for KPMG and Systemtech. When not at work Rachel spends her time trampolining and planning road trips around the US to visit their National Parks and ride on record breaking roller coasters. 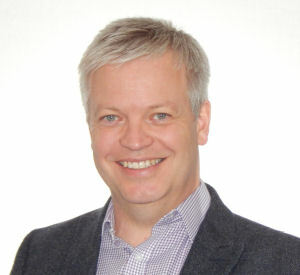 After studying Philosophy, Politics and Economics at Oxford, Mark spent a year in a shop selling computer games before training to be a chartered accountant. He qualified three years later (after some very hard exams) and moved to KPMG. He worked as an auditor in KPMG’s Liverpool and Plymouth offices with notable clients being IMI, Littlewoods and the Devonport Dockyard Pension Scheme. He then moved away from client work and for a few years divided his time between running KPMG Europe’s audit Quality Performance Review programme and acting as finance director for the local web design agency owned by his wife. More recently, Mark has moved to the web design agency full-time and qualified as a Google Qualified Advertising Professional and a Google Analytics Qualified Individual. The agency, Clare Associates Ltd, is now taking advantage of his skills and experience to offer a far wider range of services - not just web design, but 21st century marketing consultancy and various business development services. 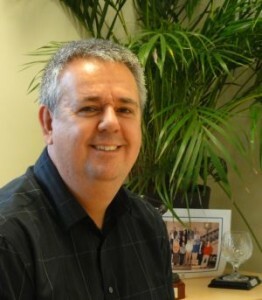 Mark specialises in Google AdWords pay-per-click advertising. Mark also runs another business, one that occupies an increasing proportion of his time. The Shop on the Borderlands is an online retailer selling new and classic tabletop roleplaying games. When not working on either business, Mark spends a simply astonishing amount of time playing Football Manager. Oh, and You're Hired! was his idea! Having worked in Information Technology for 30 years, Paul has been part of a massive evolution in computing and how it supports businesses and business processes. His career has until very recently been with utility companies, initially 13 years working for Mobil Oil Company before moving to London Electricity which ultimately brought him to Plymouth in 2000 as an EDF employee working in what was previously the SWEB office at Manadon. In June 2012, he transferred under TUPE to ATOS the chosen IT partner for EDF. 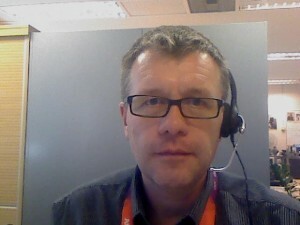 Paul's role is as a technical expert in the AIX operating system and IBM P-series hardware, with a particular leaning towards business continuity. When not being an IT geek Paul enjoys a good walk that passes or ends at a pub, and has recently acquired an old campervan to satisfy his love of old vehicles. With 30 years’ experience in the construction industry – both here and abroad – Phil is now delighted to be part of the BAM Construction team based in the South West. Originally from the New Forest, Phil moved to Devon in the mid 90’s and is happily settled in Exeter. He has worked in both the private and public sectors and spent a number of years living and working in the Middle East. Following his ‘A’ Levels he joined New Forest District Council, continuing his education at Southampton Solent University and later working for a number of global building material manufacturers. In the late 1990’s he started a part-time, post graduate marketing degree course at University of Exeter which took five years to complete and led to a change of career working for major building contractors. The construction industry is dynamic and hugely varied. No two days are ever the same and there is a role for everyone. Phil has been involved with some of the key, landmark projects in the South West, such as Grand Pier, Weston-super-Mare, University of Exeter and Plymouth Life Centre, and now works for Royal BAM Group, one of Europe’s largest construction and property companies. 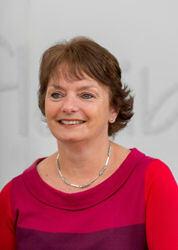 Lorraine works in the Exeter office of Browne Jacobson supporting the Education team. Originally from the West Midlands, Lorraine is a Legal Executive who specialised in criminal law before completing a BA (Hons) in Business Management and then taught ‘A’ level law in a 6th form college and completed her PGCE. Since moving to the South West 6 years ago Lorraine worked initially in probate and 3 years ago commenced employment with Browne Jacobson where she has become involved in all aspects of Education law. Lorraine’s CV shows the diversity that can be achieved in a career in law. 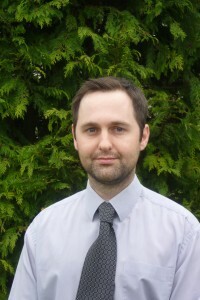 Andy is the Operations Manager for Atkins’ Metro business in Plymouth and London. As the UK’s largest engineering and design consultancy and one of the world’s largest design firms; Atkins plans, designs and enables solutions for clients across the energy, defence, aerospace, highways, architecture, rail, and water and environment industries. As a key part of the Atkins team, Andy and the Plymouth office specialise in signalling, communications and control systems for metro and light rail systems both in the UK and overseas. Andy’s line of work has taken him around the globe, spending time working on major projects in Saudi Arabia, Canada, London and his beloved city of Plymouth. With over 28 years experience and no two days ever the same, Andy enjoys the challenges and satisfaction of his role and encourages everyone to consider a career in engineering. A true family man, Andy is married with a son and daughter and together are season ticket holders for Plymouth Argyle. Also an avid supporter of the Plymouth Raiders basketball team, Andy enjoys spending quality time with his family, coaching the U9s Devonport Dragons Hockey team and his role as the Vice Chair of Governors and Chair of Finance and Personnel Committee at Widey Court Primary School. 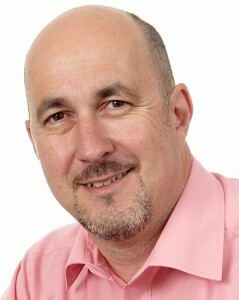 Guy is a Chartered Quantity Surveyor with construction and property consultants Bailey Partnership. Based in Bailey Partnership’s main office in Plymouth, Guy’s workload covers a wide range of professional consultant roles from traditional Quantity Surveying through to Project Management and Specialist Technical Advisory roles. Guy has been involved in projects across England and Wales with values ranging from as little as £50,000 up to £100,000,000 across many sectors. Guy worked full time in professional practice whilst studying for his HNC in Building Studies (from South Devon College, Torquay), Diploma in Surveying Practice and Honours Degree in Quantity Surveying (both from CEM at Reading University) prior to undertaking the Royal Institution of Chartered Surveyors' Assessment of Professional Competence to become a Chartered Surveyor in 2010. Millie was a You’re Hired! 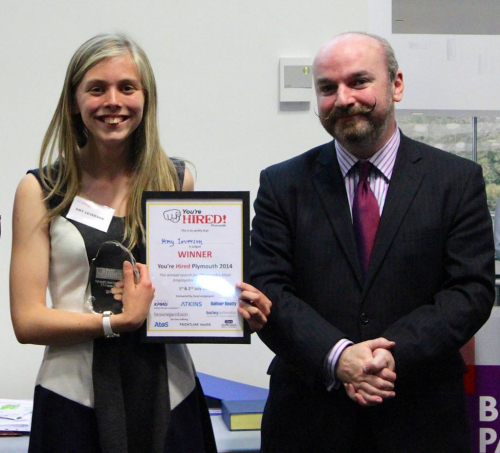 finalist in 2014 and won Best Future Rail Engineer (Atkins) and Best Future Construction Professional (Balfour Beatty). She used the final as a networking opportunity and was able to gain valuable work experience with Atkins which eventually led onto a job prospect with the company. Millie was able to use the contacts and skills she acquired from the You’re Hired! event to secure this prospect and now works for Atkins as an Apprentice in Railway Telecoms. A position she has been in since September 2015 following on from her studies at Plymouth High School for Girls. As part of the apprenticeship Millie is currently undertaking a BTEC Level 3 in Electrical and Electronic Engineering (day release) and an NVQ Level 3 at Plymouth City College. Outside of work Millie enjoys going to the gym, knitting, reading and looking at the moon through her reflecting telescope. 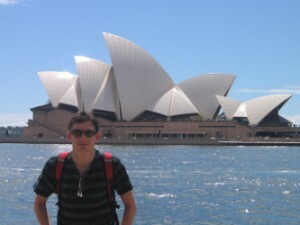 Matt went to St Boniface RC School & left after 6th Form in 2003. He started working for Frontline Image in February 2004 as a junior sales rep. Frontline is a Plymouth based clothing solutions company, designing and decorating Jersey–wear out of the factory in Estover. In the 10 years since he has worked his way up to Company Director, looking after all Sales for the business. This includes managing and developing business with a number of high street retailers, brands and licensing companies, as well as large corporate accounts. The role includes travelling all over the UK and into Europe. In his spare time Matt enjoys playing golf, cricket & walking his chocolate Labrador. After studying Tourism at Bournemouth University as a mature student Lisa joined Travelbag to work in their marketing department focussing on their customer loyalty and retention activities.After 4 years at Travelbag Lisa wanted to venture into the world of event management and secured a job with KPMG looking after event organisation for five of their offices – Reading, Bristol, Cardiff, Southampton and Plymouth. During her 10 years at KPMG she had a variety of roles including event management, CRM facilitator, and latterly was assistant Digital marketing manager responsible for content and updates on the kpmg.co.uk website. Lisa took the big step of leaving the corporate world when the opportunity arose to purchase Dartmoor Accommodation, to her this was a no brainer as it bought all her skills together – tourism and digital marketing and allowed her to indulge her passion in Dartmoor. Dartmoor Accommodation is a website listings business and has been operational for just over 17 years. 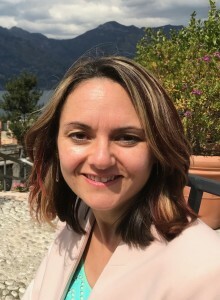 She also offers freelance marketing consultancy and has recently worked for a number of start-ups including Clubbercise and The Accountancy Cloud. 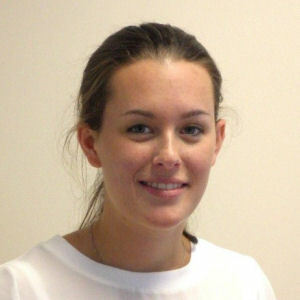 Lisa studied for her IDM qualifications in Direct and Digital Marketing whilst working and is IDM accredited. 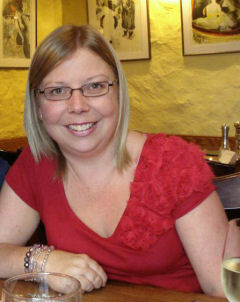 Lisa now lives in Mary Tavy, Dartmoor (and wouldn’t change it for the world) having relocated from the Reading and in her spare time likes to research the food and drink at the local pubs, has an unhealthy obsession with Gary Barlow so can be found at most Take That concerts and enjoying all that Dartmoor and the surrounding area has to offer. Colin Nicklas is a founding director of Plymouth based independent leadership consultancy 28Quest, an experienced executive and performance coach, and is passionate about the impact that great leadership can have in all walks of life. He arrived in Plymouth 8 months into a 24 year career as a Royal Naval Engineer Officer and studied for his engineering degree at the Royal Naval Engineering College at Manadon, now the site of Manadon Park. Operational tours on several warships took him to the Arctic Circle, Caribbean and Middle East and when onshore he was twice responsible for the post-graduate leadership development of the Service’s officers, helping to instil a coaching culture at all levels of management. In addition to his engineering degree, Colin holds a Master’s degree in Explosives and achieved a post-graduate diploma in Executive Coaching. He is a Chartered Engineer and member of the Institute of Engineering and Technology and a Fellow of the Chartered Management Institute. Since leaving the Navy in 2011 Colin has worked with local government, the NHS and the private sector as a coach and leadership consultant. He has also supported the offshore oil exploration industry as a performance improvement specialist with a clear focus on enhancing leadership. Colin is married and has 2 children; the eldest is a student at the University of Aberdeen reading Petroleum Engineering and the youngest sits her A levels in the summer of 2016 and plans to study marketing at the University of Chester. When not working hard in the business, Colin enjoys riding his motorcycle, the outdoor life and sport. In 2010 in completed the infamous Marathon des Sables in the Sahara Desert and will be talking about the experience, and the lessons, as part of You're Hired!